Lithium is prescribed as a mood stabilizer for people who have bipolar disorder. It acts to help control the mania, hypomania, depression, and psychosis associated with the condition. Lithium is a naturally occurring element that was found, in the late 1800s, to have mood stabilizing properties. The first paper on using lithium to treat what was then called manic depression was published in 1949. The FDA approved lithium in 1970. Even now, the specific way lithium helps people with bipolar disorder is complex and not fully understood. This drug is formally approved to treat manic episodes of bipolar disorder when symptoms such as grandiosity, racing thoughts, hypersexuality, delusions, hallucinations, and decreased need for sleep appear. However, it has also been shown to help with depressive symptoms, psychotic features, and mixed episodes. Some research has shown that lithium can also be useful in treating unipolar depression (depression without the mania seen in bipolar disorder) when added to one or more other depression medications, so doctors sometimes prescribe it for this, too. When Should Lithium Not Be Prescribed? Lithium can damage your kidneys, especially with long-term use. All patients should be screened for kidney problems before starting lithium and should be screened regularly while taking it as well. If significant kidney problems show up in the initial testing, lithium should be prescribed only with great care and close monitoring. If kidney problems develop later, your doctor may consider discontinuing lithium, since it may be possible to reverse the damage once you stop taking the medication. Lithium's safety and effectiveness haven't been determined for children under 12, so this drug is not approved for pediatric use. Blood levels of lithium must be monitored regularly. This medication can be toxic if the level of the element in your blood gets too high. Symptoms of an overdose include diarrhea, vomiting, tremor, mild problems walking, drowsiness, or muscular weakness. Report any of these symptoms to a doctor immediately. Taking lithium for bipolar disorder may cause a condition called lithium nephrogenic diabetes insipidus (NDI). This is a rare disease in which your kidneys fail to recirculate water, leading to excessive urination. If you notice that you are very thirsty and are urinating too often, call your doctor immediately to report your symptoms. If you will be put under an anesthetic — say, for a surgery — make sure the doctors know you are taking lithium. Make sure you maintain normal fluid and salt intake when taking lithium. Dehydration or low levels of sodium in the blood may be dangerous. Prolonged sweating, diarrhea, or a high fever can cause your tolerance to lithium to decrease and may require medical treatment. Check with your doctor if you have any of these symptoms. Lithium can cause increased thyroid and parathyroid activity. Your doctor should check blood calcium levels periodically, as these are connected to the workings of the parathyroid gland, as well as for overactive thyroid. Weight gain over time is also common. Lithium is known to cause congenital disabilities, and the risk is increased if another mood stabilizer (such as carbamazepine) is taken with it. If you are of childbearing age, are pregnant, or become pregnant while taking lithium, discuss this with your doctor. Lithium is excreted in breast milk, so women are advised not to breastfeed infants while taking this medication. Marples, David. 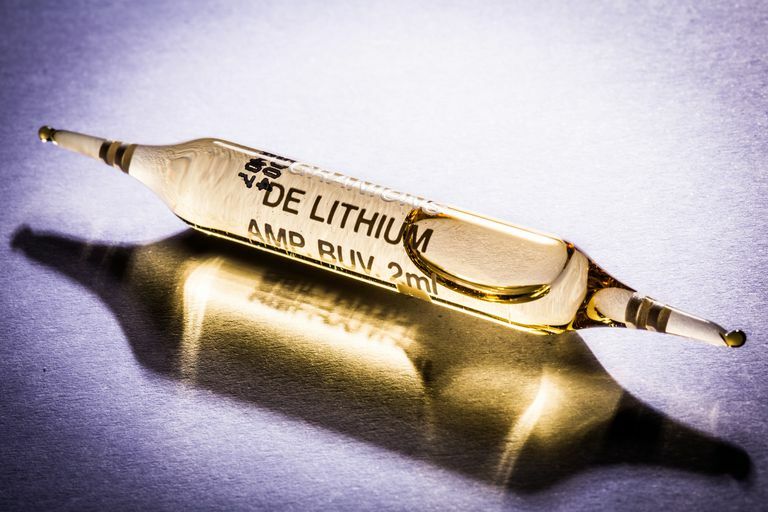 About Lithium NDI. Diabetes Insipidus Foundation. 2003. McKnight RF, Adida, M, Budge, K, Stockton S, Goodwin, GM,Geddes, JR. Lithium Toxicity Profile: A Systematic Review and Meta-Analysis. The Lancet. 20 Jan 2012. Roxane Laboratories. Lithium Official FDA Information, Side Effects and Uses. Drugs.com. Nov 2009. Thomsen HealthCare. Lithium Consumer Information. Drugs.com. Undated.